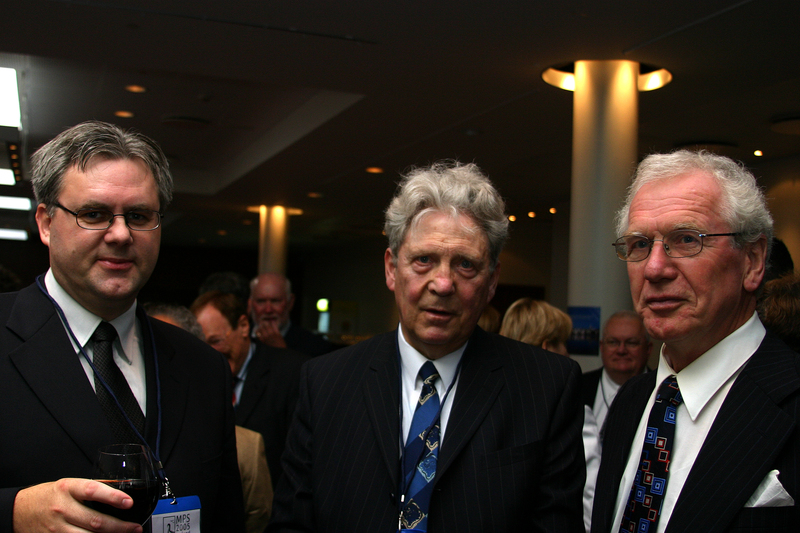 From left: Jakob F. Asgeirsson, editor of Thjodmal, Professor Arnor Hannibalsson and Professor Bent Jensen, at the Mont Pelerin Society meeting, Iceland, August 2005. Authors in Thjodmal include philosopher Atli Hardarson, former Minister of Justice Bjorn Bjarnason, former Prime Minister David Oddsson, philosopher Gudmundur H. Frimannsson, economist Gunnlaugur Juliusson, historian Helgi Skuli Kjartansson, former Central Bank governor Johannes Nordal, philosopher Kristjan Kristjansson, literary critic Ragnhildur Kolka, former bishop Sigurbjorn Einarsson, former ministry director Thorsteinn Geirsson and Professor Thor Whitehead. The editor of Thjodmal, Jakob F. Asgeirsson, graduated with a PPE (Philosophy, Politics and Economics), and an M.Litt. in Politics, from the University of Oxford. He has written biographies of the Loftleidir entrepreneur Alfred Eliasson, bank director Petur Benediktsson, literary critic Kristjan Albertsson and editor Valtyr Stefansson. He has also written a book on the currency and import controls in Iceland 1930–1960 and a book on the Burmese democratic leader Aung San Suu Ky who was his neighbour in Oxford. Jakob F. Asgeirsson runs the publishing company Ugla.